This summer, Victoria has experienced a series of hot, dry days followed by a rapid cool change. These are conditions that create periods of high fire danger on land, but can also result in a serious risk to vessel operators because of the sudden changes in wind direction and speed. 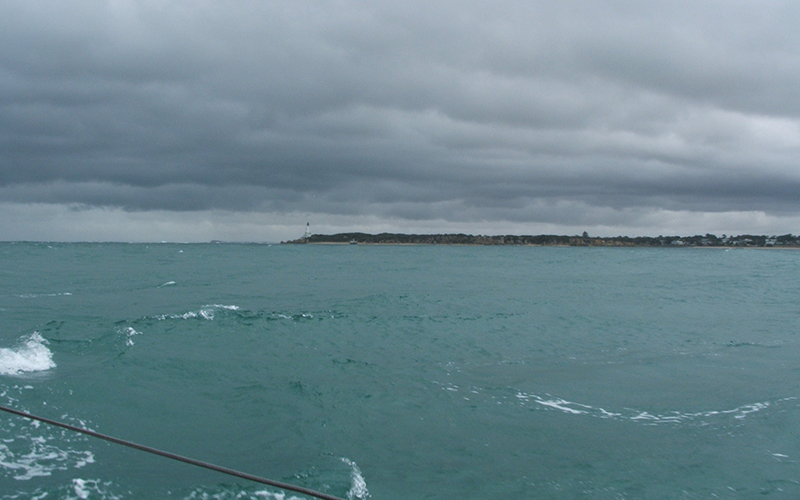 When cold fronts are approaching there is usually a band of associated cloud and dark line on the water. It is important to be aware of the forecast, as well as monitor what visual signals you can see to the West, South and South West. The change in wind speed can happen very violently and suddenly, and small vessels may be at serious risk of capsizing or swamping. Fortunately, the Bureau of Meteorology is experienced at predicting these events. So, if the Bureau of Meteorology (BOM) is forecasting a period of high fire danger, you should probably also be asking yourself if it’s a good time to head out on the water.